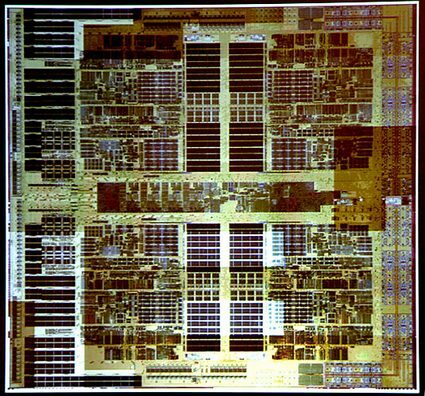 AMD showed off its native quad core Opterons chips code named Barcelona. These new chips are based on K8L architecture and would be manufactured using 65nm technology. If you are having a four socket server which is powering your applications then you can rejoice as you can pump in four quad core Opterons and get yourself a machine that has got 16 physical processing cores assuming you have a socket F compatible motherboard. The native quad core Opterons are expected to come in 68 watts, 95 watts and 125 watts TDP. Even though AMD is late in quad core race when compared with Intel, this chip definitely looks promising. There is still not much details available for native quad core offering for desktop segment from AMD.